When elevator breaks, Amramp of Tampa installs modular wheelchair ramp, restoring access to Winter the dolphin at Clearwater Aquarium. The Clearwater Marine Aquarium in Florida is famously the home to Winter the dolphin, star and inspiration of the hit movies Dolphin Tale and Dolphin Tale 2. 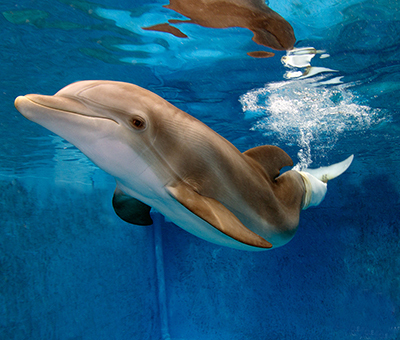 After losing her tail in an accident, Winter became the first dolphin to be fitted with a prosthetic tail. Winter’s story of courage and perseverance has made her a beacon of hope and inspiration for anyone who has overcome physical adversity. Late one afternoon in June, Tim Smith, the facility manager at the Clearwater Marine Aquarium had an emergency situation: The existing elevator that brings aquarium guests up the second floor to see Winter had broken down. While this wasn’t an issue for able-bodied patrons, visitors in wheelchairs who were eager to see Winter were being manually carried up the stairs to the second floor. And more and more were lining up to make this dangerous trek. With no sense of how long it would take to get the elevator repaired, Smith needed a quick solution. Late that afternoon, Debbie Vanlandingham, the manager at the Amramp franchise based in Tampa, Florida, received an urgent call from Smith. 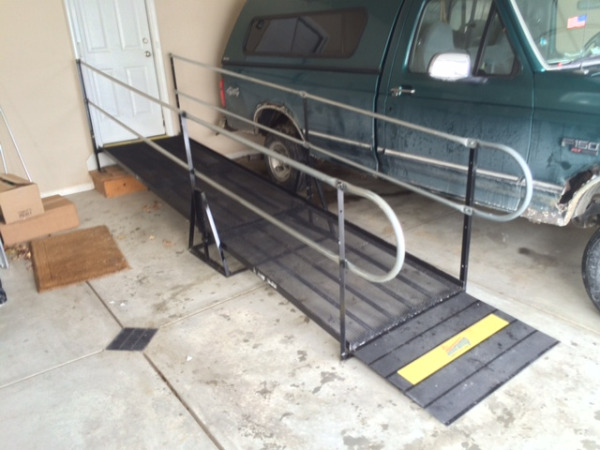 Amramp, North America’s leading provider of modular wheelchair ramps, jumped on the case. Amramp’s installation experts arrived at the aquarium to perform a comprehensive evaluation, which included extensive measurements and photographs. They remained at the aquarium until ideal design was achieved. Amramp installer Paul Ellison was on site early the next morning. With only the staff and star attractions like Winter and her marine peers present, Ellison got to work. Part of the installation process brought him face-to-face with the dolphins’ habitat. Winter and friends were on hand to oversee the installation process and provide Ellison with lots of vocal encouragement. “I felt like they were thanking me,” said Ellison. Amramp ramps are designed to be installed quickly without requiring any modifications to the existing structure or surroundings and leave no sign or destruction behind when the ramp is removed. Amramp’s patent-pending steel modular wheelchair ramps are available for purchase or rental, short-term for as little as 24 hours for events like graduations, vacation rentals. 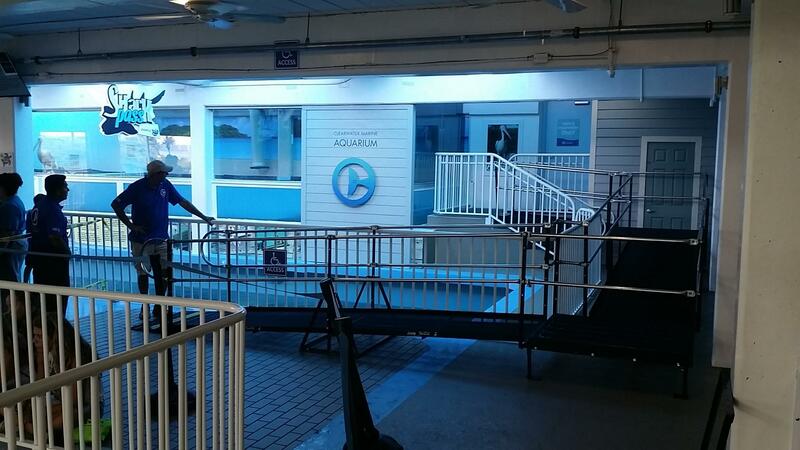 The ramp installed at Clearwater Marine Aquarium is a temporary modular rental ramp. This completed ramp runs 36 feet long with a 4-foot-by-4-foot turning platform designed to transport guests in wheelchairs safely to the second floor of the Aquarium to see Winter. Since the environment for humans in an aquarium can be on the damp side, Amramp ramps are ideal: The open mesh ramp surface provides needed traction and allows moisture to pass through easily. The ramp also features a raised gripping pattern, as well as a special Amramp-grip coating to the ramp surface, making the ramp at the Aquarium the most slip resistant ramp available. 2014 is a big year for the Association of Rehabilitation Nurses (ARN), marking its 40th annual Educational Conference – the premier event of its kind in the rehabilitation-nursing field. To celebrate, ARN is holding this year's conference at a Disneyland hotel in Anaheim, CA from Oct. 29 to Nov. 1, and promises "many magical surprises in store to delight all attendees." The bulk of the four days will be spent learning, sharing, and networking with some of the top nursing rehabilitation leaders and experts in the country, which makes it a prime opportunity to learn from the best and walk away with honed skills and savvy best practices. The educational schedule will benefit nurses of all practice and experience levels. Leadership course titled "Building a Culture of Leadership: The Imperative for the Future"
Optional professional tour of the Rancho Los Amigos National Rehabilitation Center. "Teaching Patients to Manage Their Medications in a Rehabilitation Setting"
What Role Do You Have?" "Managing the Needs of the Medically Complex Patient"
"Rehab Beyond the Walls of the Rehab Center"
"The Science of Predicting and Preventing Falls"
Meanwhile, in the EXPO area, Amramp is looking forward to demonstrating to rehab nurses at the how its wheelchair ramps, vertical/overhead/stair/pool lifts, portable showers, transition/threshold ramps, automatic door openers, grab bars, and other products can aid in the role of nursing through making a patient’s home or other areas fully accessible regardless of the patient’s mobility level. The Amramp team will be showing off our top-of-the-line wheelchair ramp technology and other accessibility products to the more than 850 nurses who will be visiting Anaheim from all around the country. We can't wait to connect with old friends and new: Please visit us if you are planning to be at the 2014 ARN Conference. PACE (Programs of All-inclusive Care for the Elderly) is an organization that is aligned with Amramp's own mission as a company: to provide mobility solutions and full accessibility to all, including the senior population in America and Canada, which is why we wouldn't miss this year’s annual PACE Conference, taking place October 26th-29th at the Hilton Bayfront in San Diego, California. PACE’s programs “support, maintain, safeguard, and promote the provision of quality, comprehensive and cost-effective health care services for frail older adults,” so it’s easy to see how Amramp’s weatherproof wheelchair ramps and other accessibility products could be a tremendous asset to those using PACE for their elder care needs. Amramp is proud to be hosting a booth at the conference's vendor EXPO, where we will educate conference attendees about the benefits of and synergy between Amramp mobility solutions and PACE senior care programs. Amramp will be one of more than 30 companies exhibiting at the 2014 conference. 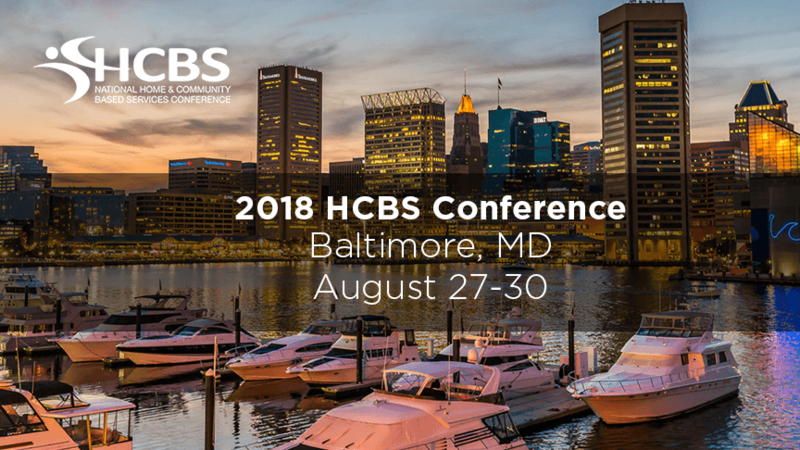 We are looking forward to seeing many of you at the conference in late October; if you'll be attending, please stop by Booth #7 and say hello! According to the National Institute of Health, MD consists of "more than 30 genetic diseases characterized by progressive weakness and degeneration of the skeletal muscles that control movement. 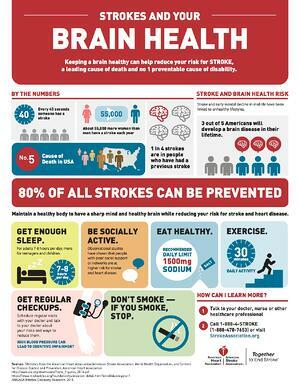 Some forms of MD are seen in infancy or childhood, while others may not appear until middle age or later." Each case is different, and the effects and severity can vary from one individual to another. Treatment may include "physical therapy, respiratory therapy, speech therapy, orthopedic appliances used for support, and corrective orthopedic surgery," as well as pharmaceutical medications. 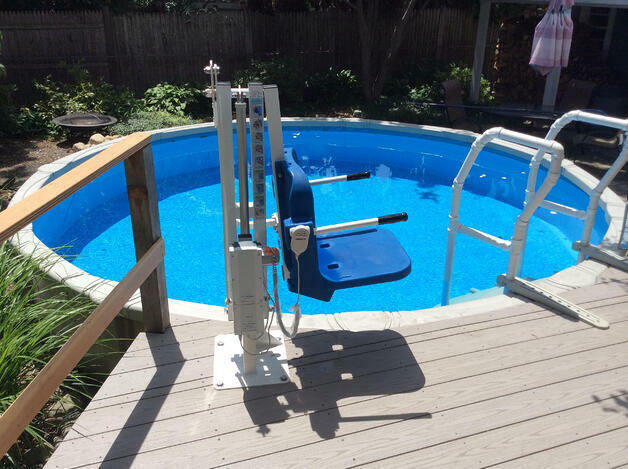 In many cases, people with MD are also wheelchair users. MDA is the world’s largest voluntary health agency to support and fund research and provide healthcare services to families, as well as raising awareness about MD. Amramp's mission as a company is to help those with mobility challenges – including neuromuscular diseases – by creating products to make their environments safer, more accessible, and easier to navigate. Amramp supports the MDA Muscle Walk because we see nearly every day the effects of the disease and are doing our part to find better therapies through research.